If you have been looking for your first or maybe your next guitar, there's a good chance you've gotten overwhelmed a time or two. Don't let this stress you out too much! You are not alone. This day and age there are so many models and so many opinions out there that it makes it hard to find the right guitar for you. 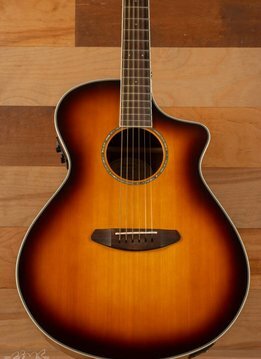 There a lot of things you've got to think about when you buy acoustic guitars online; what body shape is best for you, which tone wood is going to help me achieve the sound you are looking for, do I need a solid top or not, amongst many other questions. These are all important questions that need to be answered but more than anything, you need to make sure that the guitar you get is going to play great! When you pickup a guitar, you should almost know right away that it feels right for you and your playing style. Ever since we started selling guitars in 1979, we have strived to have the best playing guitars possible. This obviously has a lot to do with having a selection of respectable brands that deliver a solid, consistent guitar, but the most important part is the guitar's setup. Every single guitar that you see in our store and on our site has been completely setup by our qualified technicians. If a guitar doesn't meet our specs, then we will send it back and see to it that it never ends up in the hands of one of our customer's. Obviously coming into the store to try the guitars will give you the biggest advantage to finding the perfect guitar but we want to be able to provide our customers with the confidence to order a guitar from us online, knowing that what they receive has been inspected and setup to play like a dream. While you may see a lot of higher priced acoustic guitars out there, do not feel like you have to spend a lot of money to attain a quality instrument. 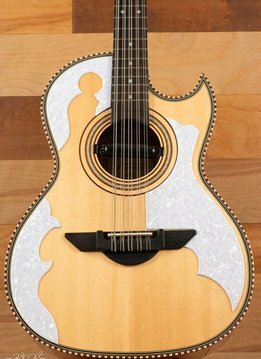 Yes, purchasing a very nice Taylor or Martin will provide you with an amazing sound and feel, along with some amenities such as a nice case, fancy appointments, and other perks; but know that you can find a guitar at any price range that will play and sound great if that is what your budget allows. The ultimate goal with playing guitar is be able to let loose, have fun, and improve your quality of life by feeling the joy that music can bring to you. We are here to help you however we can as you search for 'the one', so please always feel free to ask for our assistance if ever needed. Now go have fun and enjoy the experience of looking for the perfect acoustic or acoustic-electric guitar.